Spoiled foreigners believe that the domestic canned food with no can opener, you can open except with an axe. But our people Fudge a lot and have done with tin cans in three accounts in surprising ways. The most common is the use of a knife. Stick it in the lid along the rim and cut the jar in a circle. In the absence of a knife, you can use any sharp object, screwdriver, piece of iron or break in half with a spoon or fork. Slotting them will fail, but you can punch a few holes in a row and connect them. 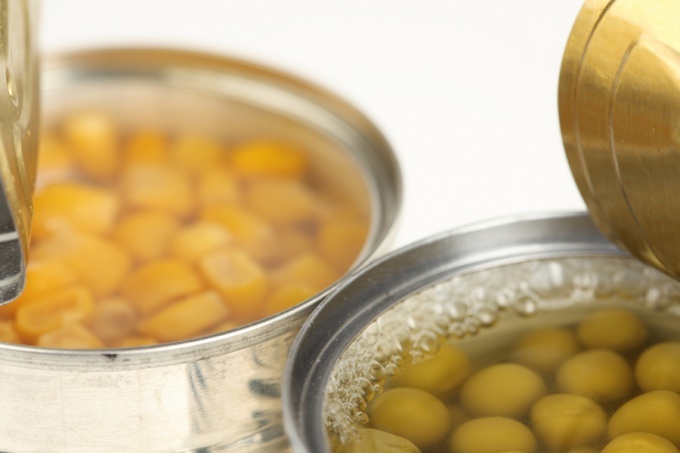 To open canned food without a knife, you need to understand the structure of the cover. It consists of a tin plate whose edges are clamped by the rim of the jar. You can take pliers or a similar tool, to capture them the edge and bend it, more of such efforts and the cans are open. If there are no such tools to deal with the possible side friction. You need to make the jar top or bottom side to the stone, to the wall or other hard rough subject and start to RUB until then, until the protruding edge is not erased, then the Bank will be opened easily. From many options how to open a tin can with two spoons and sneakers, the most interesting is the following. You need to put vertically one spoon handle to the lid of the jar, cover it with its inner concave side of the second spoon and beat with a slipper. After a little practice you can punch a few holes and pick open tin between them with the same spoon. How to open a tin can without a knife, if it's glass and has a screwed cap? Enough to strike with an elbow or fist in the center, then cover is loose Unscrew. If it is a pity to spoil a cover, or not enough effort on the kick, you can turn over the jar and lower the shoulders in hot water, and then easy to open.